NYFW GIVEAWAY : Win a Trip to NYC! My Five Minute Face: Everyday Beauty Routine. 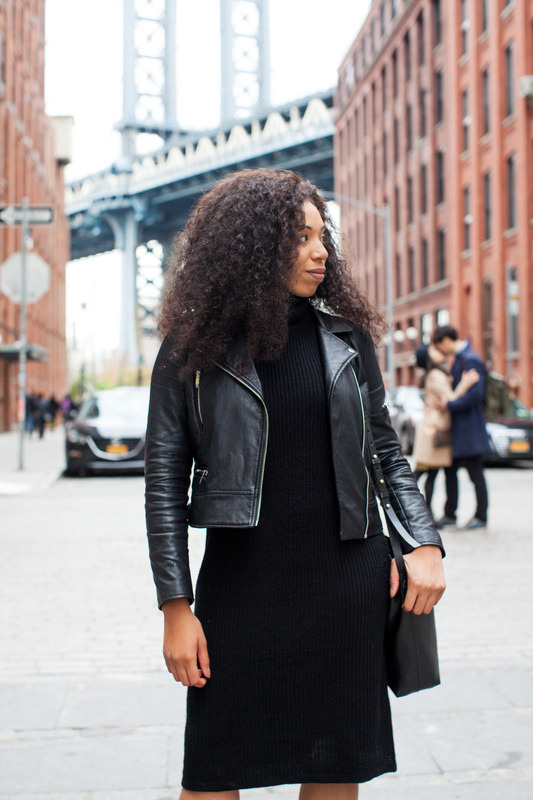 Although I always love a little splash of color, I’m not stranger to the all-black-everything uniform that pervades the New York City Streets. 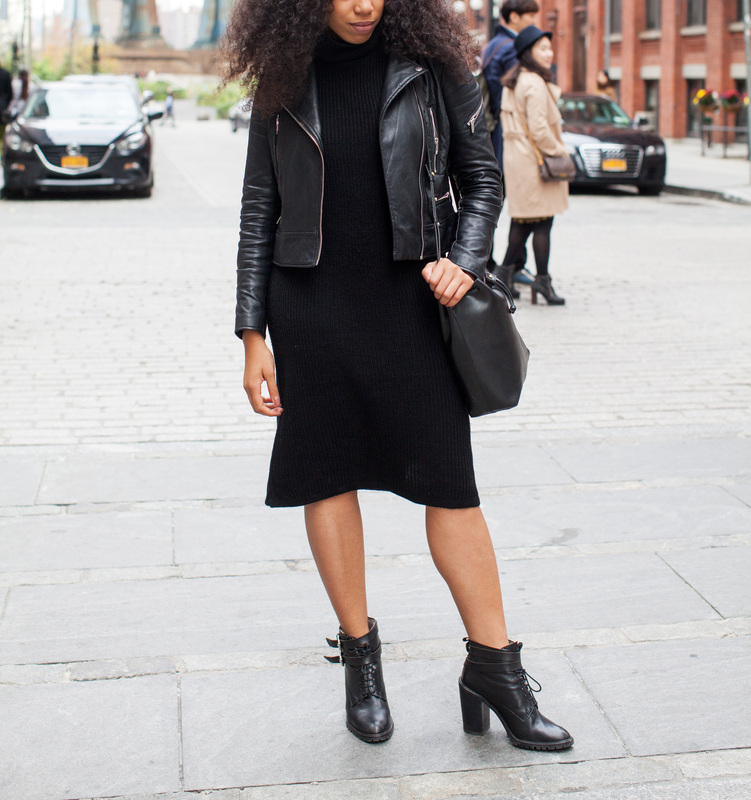 I love adding dimension to my blacks with a rich combination of textures in leather, suedes and knit. Such an easy way to give the classic look some serious dimension. Shop my look + enter a giveaway to win a $600 Nordstrom Giftcard + those swoon- worthy Stuart Weitzman Highland Over-the-knee boots below! Love the jacket. I wondered about the couple smooching behind you…too cute. Thanks for the opportunity to enter this fabulous giveaway.